Fruit Delight Avi-Cakes ~ A Delightful Explosion of Tastes Fruit Delight Avi-Cakes explode with tastes that your birds love! 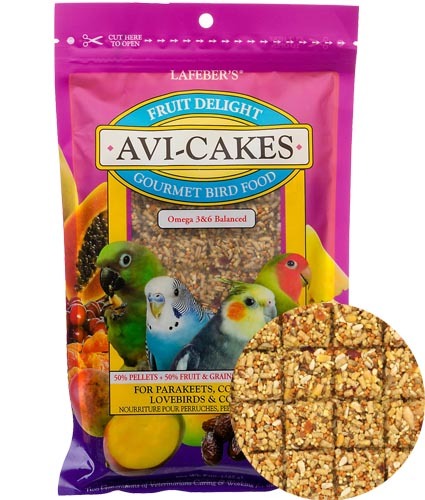 Your feathered friend will truly be delighted when he finds that fruits like cranberries, dates, mango, papaya and pineapple have been added to Avi-Cakes! Fruit Delight Avi-Cakes are a mixture of wholesome fruits and grains mixed 50-50 with nutritious pellets.